Avoid the ‘R’ Sound Whenever Possible to Sound British! Have you ever paid attention to how Brits pronounce the letter ‘R’? I think it’s fair to say that more often than not, British English speakers don’t actually pronounce the letter ‘R’ at all! In the aforementioned words, you can’t drop the ‘R’s because it just won’t sound natural. If you try to drop ‘R’ in the word ‘problem’, the resulting ‘poblem’ just doesn’t sound right; it rather sounds like some newly coined word or indicates of some speech impediment of the person who’s trying to say ‘problem’ but can’t manage to pronounce the ‘R’ sound. I could start telling you about the rule of omitting the letter ‘R’ after vowels (in the word ‘interferes’, for example, you drop all ‘R’s so you actually have to pronounce it the following way – ‘intefeez’). I could start going into in-depth analysis addressing all possible aspects of when ‘R’s preceding vowels have to be pronounced (like in the word ‘premium’) and when they have to be dropped (in ‘sphere’ you have to drop the letter ‘R’ even though it’s preceding the last letter of the word which is a vowel). Too Much Analysis is Going to Hamper Your Ability to SPEAK Fluently! As I wrote in this article on my EnglishHarmony blog, you may just find that you can’t verbalize your thoughts spontaneously (which is a pre-requisite for oral fluency) if you constantly analyse your own speech as you speak! When you speak, you can’t really be doing two things at the same time – thinking on the subject PLUS thinking about HOW to say it, what means of expression to use, what grammar rules apply in the sentence you’re uttering at the moment and so on. So if you’re learning a set of rules on the letter ‘R’ pronunciation in the British accent and then you’re trying to apply them as you speak, you may find that your speech is very hesitant and a far cry from being fluent. You will try to spell out words in your head to make sure you spot the respective vowels and then you’d pick this or that particular rule resulting in the ‘R’ sound being pronounced or omitted. That’s a lot for your brain to process, and also it’s a completely unnatural way of speaking. If you take every word you pronounce as an individual case, you’ll find it so much more difficult to develop your ability to speak with a British accent freely and fluently! It’s been 6 weeks since I started the Received Pronunciation accent learning mission, and I’ve been doing a lot of MIMICKING during those 6 weeks. I’ve been watching various films, TV programs and documentaries featuring British actors, entertainers and narrators, and I’ve been listening to their speech and repeating all they’re saying. It’s the most natural thing to do if you want to learn a particular accent – listen how native speakers are speaking it, and then try to replicate it! Over time I’ve developed a ‘gut-feeling’ for correct British pronunciation, and now when I speak I don’t really have to analyse each individual word to figure out if the letter ‘R’ is to be pronounced or omitted. In 9 times out of 10 I get it naturally, but on the odd occasion when I make a mistake and pronounce it when it needs to be omitted, I correct myself and make a mental note of that particular word in question. The bottom line is – I don’t even try to analyse and learn certain rules on the letter ‘R’ pronunciation in the Received Pronunciation; I’d rather develop natural ability to ‘feel’ the accent and speak fluently instead of being too hung up on learning certain rules and making sure I’m getting it 100% correctly from the very beginning. Thank you very much for the post – very interesting. May I ask you what happens with the following words: beware /bɪˈwɛə/, care /kɛə/, dare /dɛə/, there /ðɛə/, share /ʃɛə/, compare /kəmˈpɛə/, careful /ˈkɛəfʊl/, sphere /sfɪə/, figure /ˈfɪɡə/, and so on? In these cases “r” is neither at the end of the word nor before consonant (the rule everyone teaches and/or learns). Are there any rules that could be applied is such cases? Thank you. 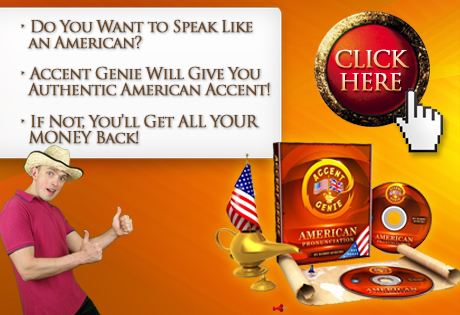 Next post: British ‘O’ Sound – Step #2 Towards Native-like British Accent! Previous post: British Accent Becomes my Second Nature a Month into the Mission!